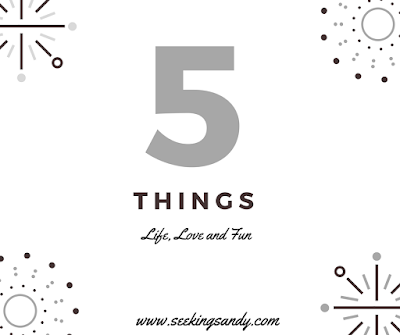 I decided that this week I am going to chat about a few different things in our life currently. While I am typing I am watching the Patriots celebration parade in Boston so I landed on 5 things to honor Tom Brady's 5 Superbowl wins!! I am not perfect! Surprise :) I should have posted my transformation Tuesday photos, but I am skipping it this week. My best friend was in town for 10 days and I didn't always make the best food choices. I mean there were lots of things she needed to eat while in Maine and how could I say no?? Also, there was quite a bit of alcohol consumed! I don't regret it for a second, but I do need to work on not falling completely off the wagon when life happens! After she left, my week didn't get much better. I went to a food competition on Saturday and celebrated the Superbowl on Sunday. I feel like the number on the scale would be discouraging to me, so I am confessing to you all and #keepinitreal, but saving #transformationtuesday until next week! 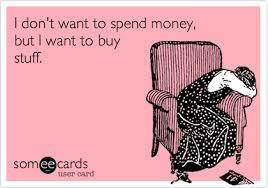 No spend February. I started to write a post about how I was going to do a no spend February, where I would only buy things we needed this month. I would not take on any new house projects and just finish the ones that I had already bought supplies for. But before I had written the entire post, I had already cheated...oops! It is so hard when I have a whole house to finish, organize and decorate to not just buy everything I see that I like or feel that I "need," but it is time to slow down! There is nothing that I really need anymore. Everyone has furniture now and some fun decor, but the rest has to slowly build over time. There are also some projects I want to take on, some furniture updates, but it doesn't make sense to buy supplies for another project until I finish the ones I have already purchased! But then I went Walmart yesterday with a list of 5 things that I needed and came home with 5 bags of stuff. I mean, some of the stuff were things I did need but didn't think of until I saw it. But I did buy a cute Valentine's banner for decoration and an organizational piece for Olivia's room that I didn't "need" to have this month, but it was on sale and perfect and I couldn't leave without it. It was definitely a slip up, but I plan to continue on with the plan. I need to sit down and rework our budget and give myself a decor budget each month, but until I do, I have to reign it in! I have not shown pictures of the inside of the house yet because everything is not finished. There are still parts of the house that are very unfinished actually. I was hoping to have things finished before I posted pictures, but people are getting anxious to see the rest of the house, so I will show you! I decided that it would be better to do a video rather than pictures because you can see how it all flows together better than in pictures. I was going to do a Facebook Live, but Mike told me about doing it on Youtube and that seems better. I am working on it and as soon as it is done, I will post it! Once I show you what it looks like now, I will blog about what I want to do with each room. I have big plans! Essential oils. I have been curious about them before, but didn't know too much about them. Last week I went to a little presentation on DoTerra oils and I found it pretty interesting, so I bought a starter set to give it a shot. I have been diffusing peppermint for energy and maybe it's in my head but I do feel an increase of energy. Last night I used Lavender on my dry, cracked, chapped lips and there is an improvement this morning. I still have lots to learn though, if you use them, I would love to hear what you use them for and which ones you use. I am still skeptical, but would love to prove these oils helpful, let me hear your stories! Do you watch Fixer Upper? I LOVE Fixer Upper and I love Chip and Joanna. So much so, that my cousin made me this amazing mug for Christmas! 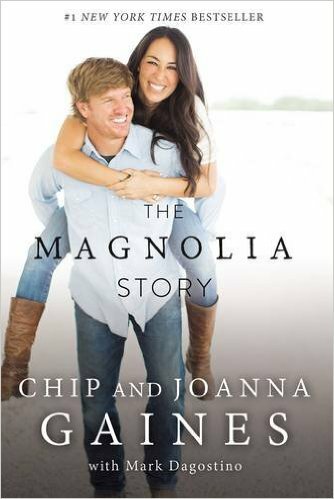 I got the Magnolia story for Christmas and I have started reading it. I knew I loved them, but if possible I love them more reading their story! They are truly an inspiration! That's it for this week. Next week I am sharing a new post on Being Me in 2017. Till next time!